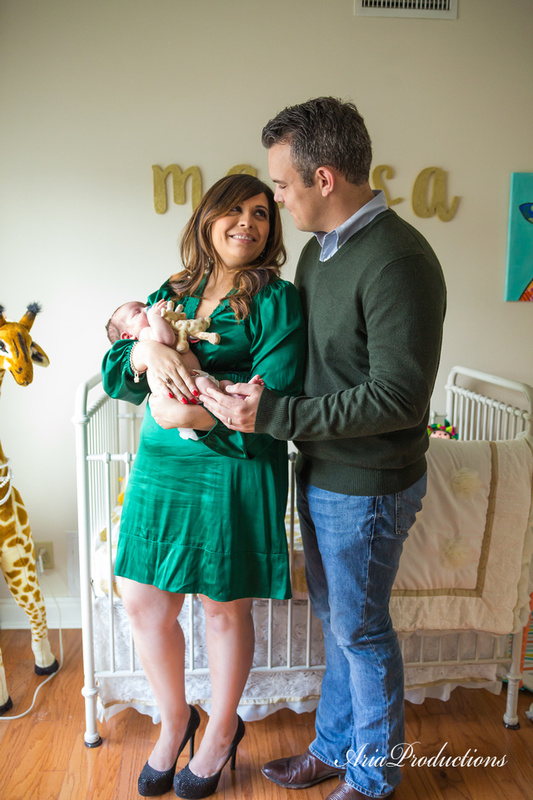 Marisa's Newborn Photos — The Life and Times of a Young Professional in San Antonio. It's really hard to believe that little Marisa is already seven weeks old! It's even harder to believe that had I only taken six weeks of leave that I'd be back at work and sending my newborn off to daycare! In just these last couple of days she's had so many developmental changes like her first smile, first giggle and even supporting her head with more strength. I'm really thankful that the City of San Antonio has a generous parental leave policy and while it's been hard to disconnect from my passion of work, it's been so rewarding to care for my baby. I know that I'm lucky and I wish every employer saw the value in creating a family friendly workplace that gives parents the leave they need to care for their new families. We wanted to capture the newborn phase of little Marisa and so we once again asked Aria Productions to take some photos at the two week mark. Sonia shot our wedding and my maternity photos. She's easy to work with, really flexible and so professional. I am so happy with the way they turned out! It's hard to believe she's already so much bigger than when these were taken! It's all in the details. Her tiny red glitter shoes match my wedding heels. I imagine we'll take a matching photo once they fit her! After a somewhat traumatic delivery and a rough first two weeks at home with baby, it was especially nice to get dressed up and look glamorous for these photos.